Situated in the central region of Europe, Switzerland is among the most sought after holiday destination. The country of Switzerland is best acknowledged for its mountainous range (Jura in northwest, Alps in south) but if you ever happen to visit the place you would realize that the region is dotted with many pretty lakes, plains, hills and pastures. It shares its borders with Italy to the south, Austria and Liechtenstein to the east, France to the west, and Germany to the north. Accommodation in Switzerland is easy to find. Many Switzerland Hotels offer special packages all through the year to make your vacation all the more pleasant. Whether you are looking for a cheap hotels in Switzerland or luxurious hotels… options are galore in the country. Although Switzerland is a beautiful destination all through the year, summer is most suitable if you are looking forward to spend some time outdoor and indulge in open-air activities. Summer in Switzerland begins from June and ends in the month of September. Being the peak tourist season, during this time around you will find a heavy crowd of tourist and visitors. Prices of hotels in Switzerland soar very high, availability of hotels room dip and places of interest becomes crowded. But if you visit Switzerland during the months of April to May and from late September to October you can easily find a tourist office in the touristy areas of Switzerland. Here you can find out about different lodging and hotels available in the country. 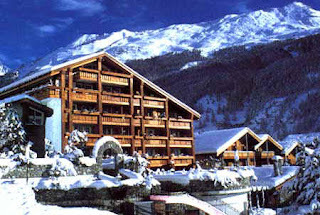 The staffs of Switzerland hotels are helpful and gracious, and speak good English. Hotel charges in Switzerland might be a little expensive than expected, particularly in popular ski resort areas. You will also find many cheap hotels and accommodations like inns that are functional and easy on pocket too. Old town and the Munot fortress Schaffhausen It was in the year 1564-1589 that the magnificent Munot Fortress in Schaffhausen erected by its people. The houses of the Old Town are ornately embellished with oriels and frescos. Its narrow boulevard is pretty and tempts the visitor to stroll and shop around for souvenirs. The herb garden in the All Saints Monastery is a great place to hit if you want serenity and calmness. The locales of the lovely Rhine Falls are something to lookout for. Augusta Raurica To be found about 20 km east of Basel near the villages of Augst and Kaiseraugst, Augusta Raurica is the oldest known Roman colony on the Rhine River. It is an immensely huge Roman archaeological site and an open-air museum. Augusta Raurica was established by Lucius Munatius Plancus in 44 BC in the region of a local Gallic tribe, the Rauraci. Accommodation in Switzerland is easy to find. Many Switzerland Hotels offer special packages all through the year to make your vacation all the more pleasant. Whether you are looking for cheap hotels in Switzerland or luxurious hotels… options are galore in the country.